How much does it cost to get an annulment in Ohio? Can Ohio Fathers have overnight visitation with infants? 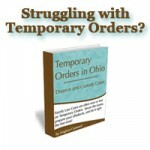 Can Ohio Mothers move out of state with the child? What areas of law do Ohio Family Law Attorneys handle?